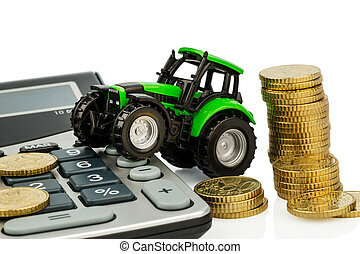 Cost accounting in agriculture. 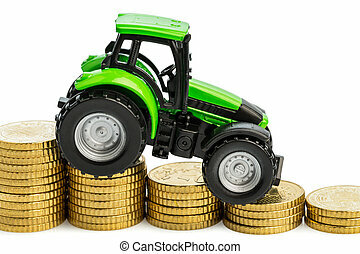 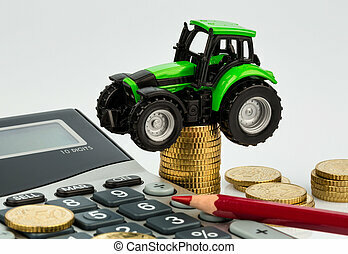 Farmers in agriculture have to reckon with rising costs. 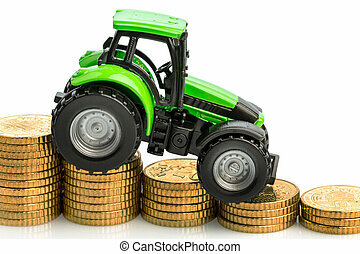 higher prices for food, fertilizer and plants. 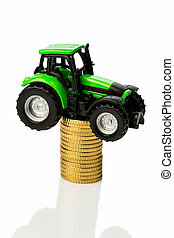 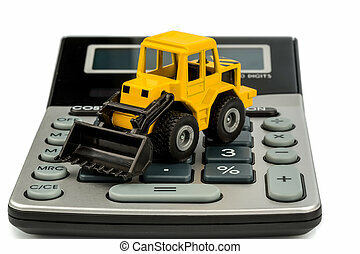 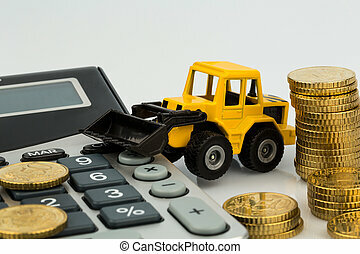 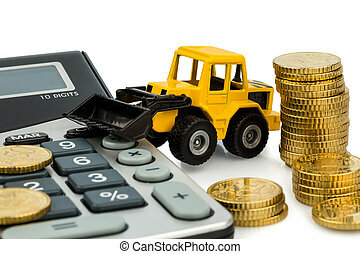 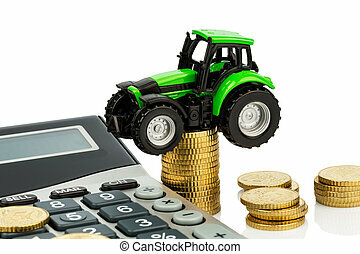 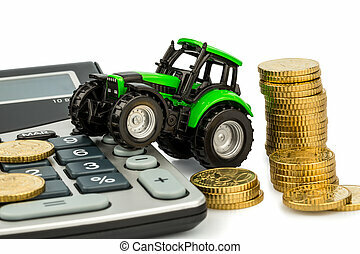 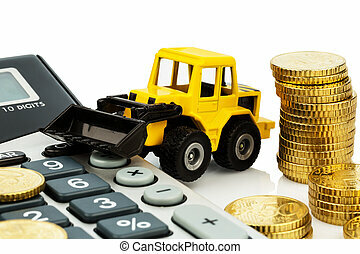 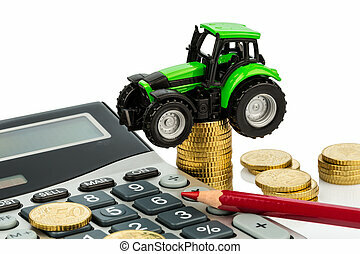 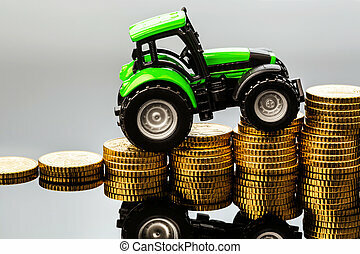 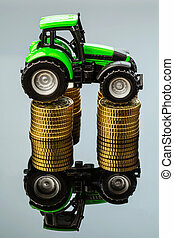 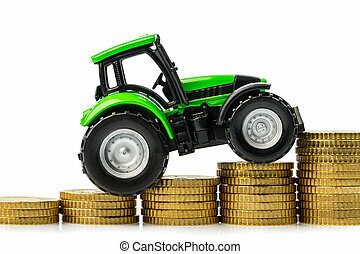 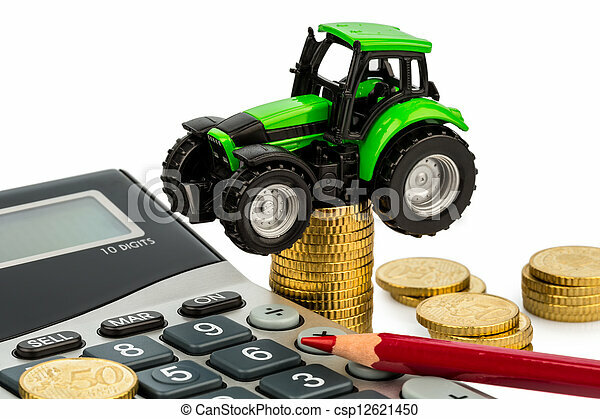 tractor with coins and calculator.